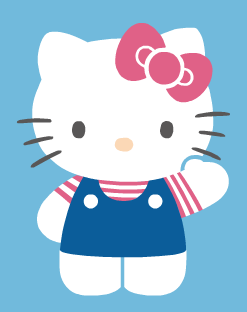 Why doesn’t Hello Kitty have a mouth? It’s so people who look at her can project their own feelings onto her face, because she has an expressionless face. Kitty looks happy when people are happy. She looks sad when they are sad. For this psychological reason, she shouldn’t be tied to any emotion. Feast your eyes on the Super Hello Kitty Jewel Doll — the most expensive Hello Kitty item in the world! It was created in 2009 via the partnership of Sanrio, the crystal maker Swarovski and and Japanese jeweler I.K. to commemorate the 35th anniversary of Hello Kitty. It measures 4 inches in height and is made of solid platinum studded with thousands of precious gems, including 1,939 pieces of white topaz, 403 pink sapphires, a pair of black spinels for her eyes, a citrine for her nose, and a 1.o27 carat-diamond on her signature bow. It’s value is a whopping 167,000 US dollars or 15 million yen! Hello Kitty and other Sanrio characters cakes! Almost everyone has a sweet tooth and cake is surely on top of the list of our favorite desserts. Check out the Hello Kitty and Cinnamoroll cakes below. Sanrio fans and cake lovers alike will surely be in for a treat! I found them on the Philippine website of Bread Talk. Click HERE to check out the other 2 designs!